When building a WordPress site, it’s not uncommon for developers to use plugins to modify a site’s look and feel. Because the same themes can be used again and again, a website without plugins can lose its uniqueness. This is especially important for those looking to sell something online. A lot of people have debated back and forth about whether WordPress can be used for creating landing pages for sales. Thanks to plugins, it’s totally possible and stands to be rather effective. Here are five plugins I found that can turn your WordPress homepage into a landing page. While you’ll still need to focus on creating good content to pull visitors into your sales funnel, a good-looking landing page can work hard in your favor. The Impact Page Builder plugin is relatively new and isn’t as well-known as some others, yet but it’s poised to make quite an impression. Thanks to this plugin, even the least flexible themes can be given more flexibility. This also provides webmasters with a unique way to make redundant themes stand on their own. 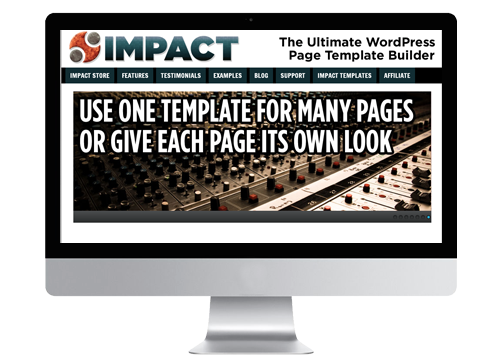 The impact Page Builder plugin works on any WordPress site, regardless of the active theme and it has the flexibility to create any design a webmaster can think up. It is important to note that when WordPress sees Impact, it is going to use Impact or WordPress. It will never use both at the same time. There is a learning curve here. Because Impact does so much, it does take users some time to adjust to this different approach to WordPress web design. Delivers a list of WordPress company directory plugins. Users are presented with webpage, squeeze page and landing page examples. Has an import/export feature and tells users how to clone a website. If Impact doesn’t function, users are guaranteed their money back. DKI stands for “Dynamic Keyword Insertion.” The SpeedPPC WordPress DKI Plugin gives a landing page the keyword rich content that it needs to be effective. Webmasters are able to create highly targeted landing pages in WordPress. When landing pages use relevant keywords and allow the site to be indexed properly, the impact is quite positive. The setup does have somewhat of a learning curve, so it is ideal to follow the instructions provided by SpeedPPC. Some have also experienced 404 errors, but by following the instructions and proper troubleshooting protocols such as clearing cache files, re-saving permalinks, and even turning off and individually re-activating plugins, you should be able to avoid such issues. Works with dynamic pages written in PHP. Effective in the building of quality PPC campaigns that can be uploaded to Google Adwords. Integrates the most relevant keywords. OptimizePress 2.0 used to be a standalone WordPress theme, but it is now a plugin that allows a quality landing page to be built in a matter of minutes. This is an asset when you need to have a quality website up and running as soon as possible. A lot of hard work has gone into the development of 2.0 and it is considered to be a great product by many. It simplifies building a high quality WordPress website. This is a more robust version of OptimizePress than 1.0 and it integrates well with other platforms like Aweber, Infusionsoft, and 1ShoppingCart seamlessly. This plugin does come with a minimum price tag of $97. There’s no free version of this plugin. The 2.0 version doesn’t seem to be as streamlined as 1.0. It now uses a wizard interface to design pages, whereas 1.0 did not. This has lengthened the amount of time involved in the page building process. The setup wizard minimizes the learning curve. Launchpad by Obox is a plugin that makes it easy to set up a “pre-launch” landing page. When users land on this page, they are presented with information on what is being launched and when. It works with any theme and can be configured for auto-launch, so you’ll never forget to launch a site on time again. The setup is easy and and will work with any WordPress install. There are also many customizable options so you can build an attractive landing page that will prompt people to come back. There are unique themes included with Launchpad. However, you are limited on the number of available themes designed specifically for use with this plugin. It can still be adapted to work with any theme but you may find this a bit restrictive. The footer contains important information about your site as well as links to the main pages for your site. The Genesis Widgetized Footer plugin gives designers more flexibility with the footer, such as being able to edit those otherwise un-editable regions. And as you know, being able to customize, tweak, and test every part of your landing page is essential for maximizing conversions. Developers are able to enjoy an enhanced experience. It starts with being able to change the copyright and takes out the overall guesswork of how to customize the footer. It also gives webmasters the ability to hand the plugin to their clients who wish to customize their footers on their own. The widget does require the Genesis Theme Framework, which comes at a cost. This means that the Genesis Theme Framework will have to be acquired before the plugin can be functional. Add some CSS styles for the footer content area so that widgets can be properly divided, providing a little more space. As you know by now, these are some very high value plugins that can enhance your landing page to be something that visitors will want to stick around for a while to read. Decreasing bounce rate is essential for increasing sales. And if you can accomplish this by using landing page plugins and optimization tools, you’ll be well on your way toward meeting your conversion goals. Do you use any of these plugins? Or, have you found another plugin or tool to be more effective at created landing pages in WordPress? Feel free to let us know what you think. Can we use all the plugins in one site or some are alternatives. Anyway thank you for information. Just try Qards – Responsive WordPress Site Builder. 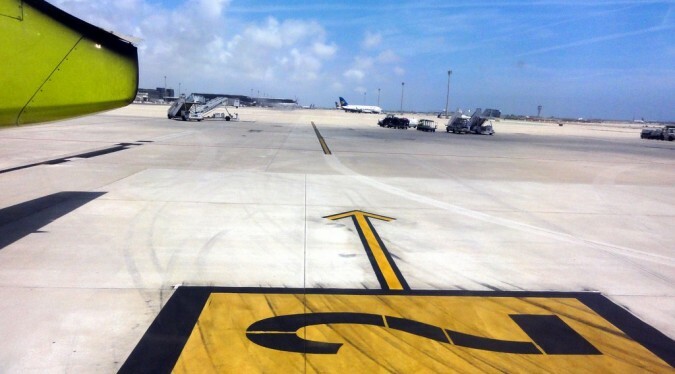 It’s more easiest way to make a perfect landing page. It’s based on WordPress so you have all of those plugins for SEO optimization, sharing and other tools. It’s the really good platform to make it. I love Genesis and I never thought to use the widgetized footer that way. It is something to try. Meanwhile, I wonder if you have heard of Instabuilder 2.0 and Profit Builder? Both look promising as landing page plugins. I used to Genesis, but recently switched to Themify because they have a built-in drag & drop Builder. While I was looking for landing theme, I just found out they have a Landing theme too: http://themify.me/themes/landing. I prefer to use a theme over hacking the theme with landing plugin. Thanks you for sharing this plugin. I’m looking plugin that make a simple landing page for my company. Impact cool and cheap! Landing page creation plugin list is nice. this is useful for me because i am starting affiliate marketing. Thank you for this nice list. You’re welcome, glad you liked the post! i want to know about free plugins that makes my wordpress site more attractive and increase user engagement. Nice write up. Our plugin, Ultimate Landing Page Advanced, can be used to make your homepage a landing page. We have a free lite version and a paid version.